Bleary-Eyed Crafts: Happy New Year! I hope everyone had a safe and happy New Year. I'm so excited to start this year with my great friends and family, and of course, crafting. I created this simple card to celebrate 2013. I used Simply Charmed for the champagne flutes and Alphalicious for the year. I used really great gold paper for the champagne and little gold gems for the bubbles. I also added glitter glue to make the flutes sparkle. Inside, I used the word feature in Simply Charmed to cut the sentiment. 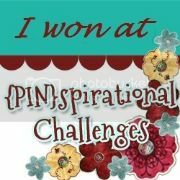 Great job Evelyn and thanks so much for entering our challenge at Exploring Cricut. Great sparkle! Love how you finished the inside of the card as well, we don't often see that. Thanks for playing along with Just Us GIrls this week.